It's all but impossible to leave your house with just your phone and wallet these days. You also need charging cables, maybe a back-up battery, and a host of other accessories you probably can't survive the day without. 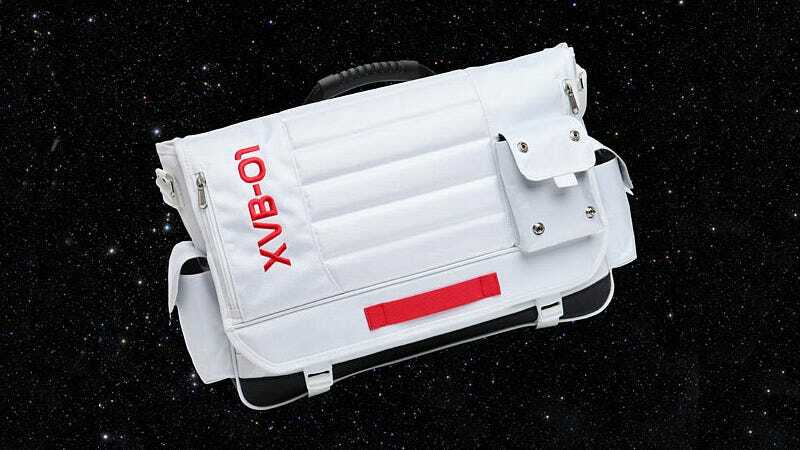 In fact, most of us leave the house better equipped than astronaut's taking a spacewalk—which is why this sci-fi-inspired Space Odyssey messenger bag seems so fitting. Designed by the folks at ThinkGeek and exclusive to their site, the $50 bag is styled to look like something NASA would give its astronauts. But with twelve separate storage areas and enough capacity to swallow a 17-inch laptop, it's far too large to take up to the space station.